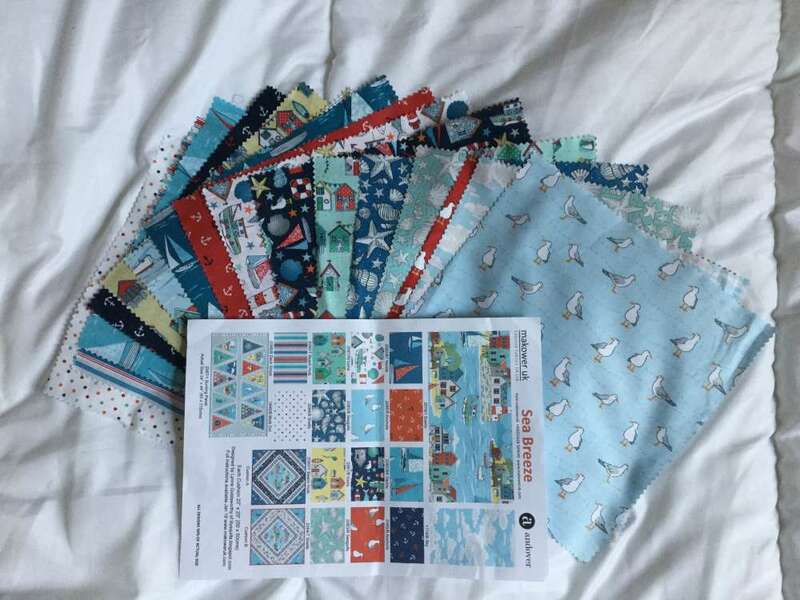 I have been sent some wonderful Makower Sea Breeze fabric to review. It really is a lovely fabric with which to work. I was sent 14 10inch squares. 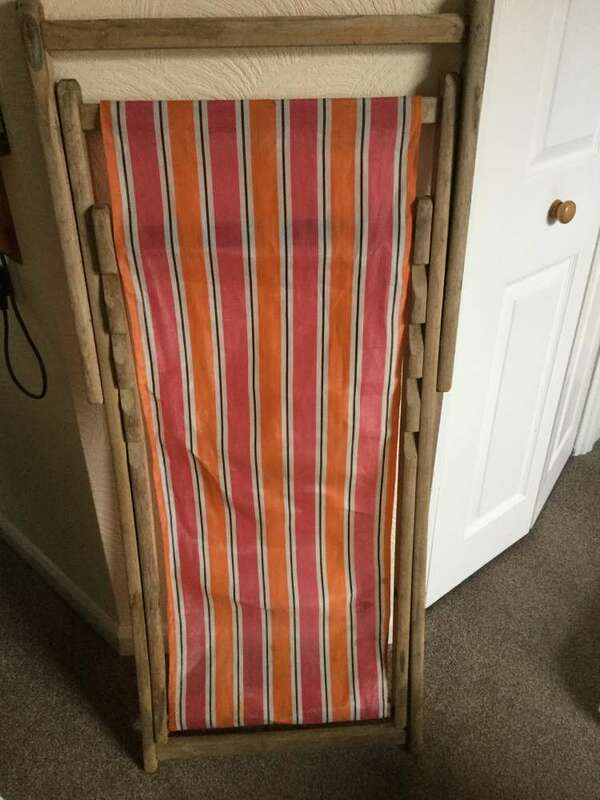 Before receiving them I had planned to re-cover a deck chair, possibly in stripes of fabric. On receiving them I realised they were Far to interesting and beautiful to simply cut into stripes. I purchased a red stripe fabric with which to make my background. Layered it up like quilt for comfort. Noe how to display the fabrics? My first thoughts were a seaside design. Bunting, sun, boat etc. Thinking again, it would be very fiddly. So I decided on simple circles and some bunting. This fabric has a range of subtle seaside colours, pale turquoise and greens. I particularly like the boats and beach huts. So chose to showcase them. 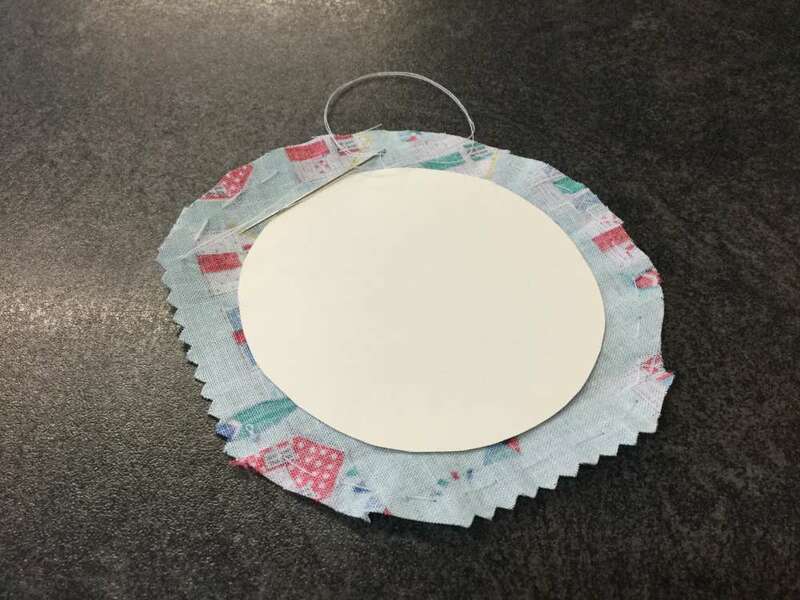 I made a template of the size circles I wanted, cut them out. 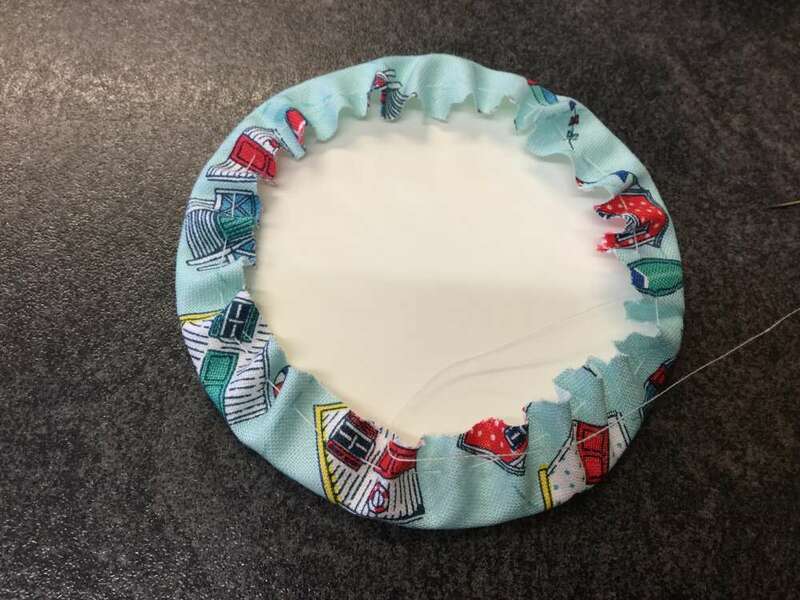 Running/gathering stitch around the outside, gathered up, press, take out the template and another running stitch to hold the hem in place, press again. 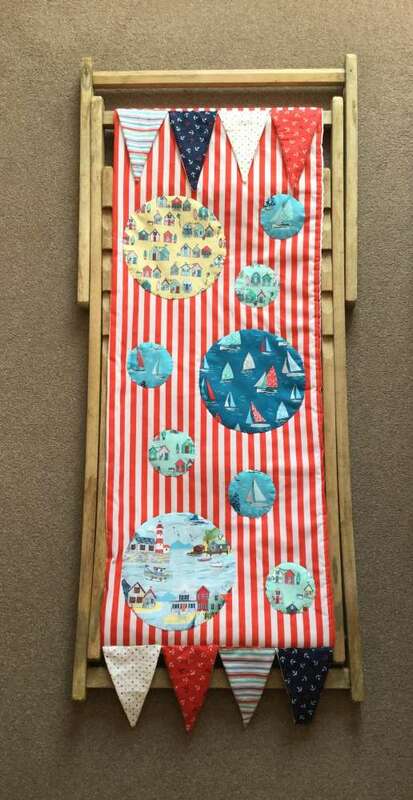 Once stitched it can be attached to the deck chair. There are lots of you tube videos explaining how this is achieved. Very simple. 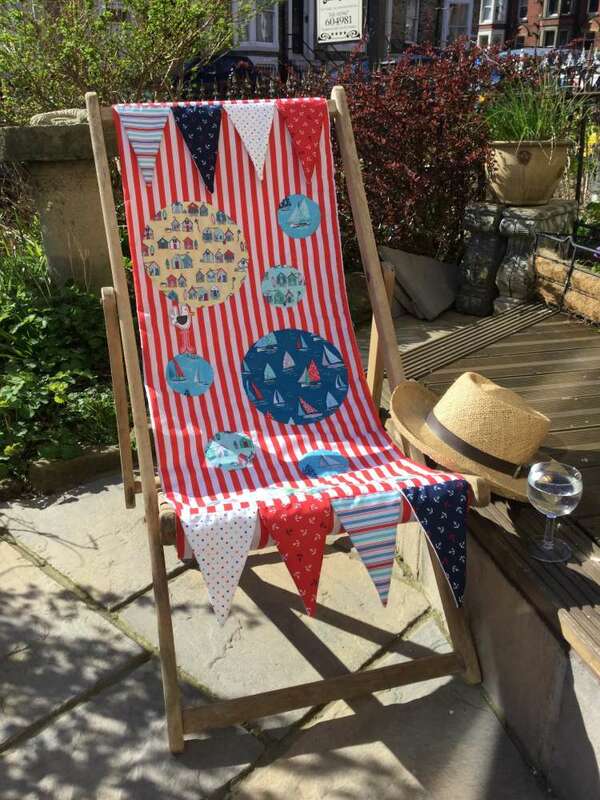 Pic of deck chair in garden, glass of wine.